We are in the process of updating our website. This section on essential oils and hydrosols will be expanded and renewed over the next couple of months. This renewal will coincide with the release of our 2017 oils at approximately the end of August. All current products are available online now. Features to be included with the website update. Full information on particular products are included on product pages in the shop and the matrix. 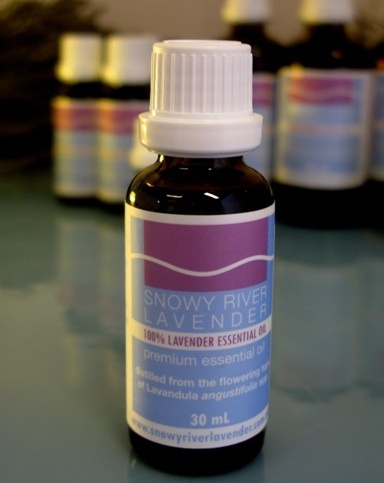 Uses: Aromatherapy, Perfumery, Skin Care, Home Care: Lavender Oil is revitalising of the skins own regenerative processes, is anti-bacterial and may assist with skin hygiene including acne, wound care, burn care, bruising, may soothe skin irritation and insect bites; it may also aromatically assist in bringing calm and balance. Vintage Information: High rainfall year and good but cool growing season. Gale force hot winds followed by a late frost at the cusp of November /December saw the loss of 2/3 of the flower and much reduced production. Seasonal condition of unaffected flower good in size, form and fragrance. Hand harvested and steam distilled in January 2016 / greater than 10 months cellar time. 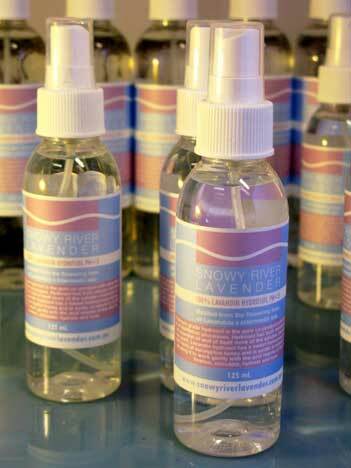 Properties: 100% Lavandula angustifolia steam distilled essential oil. Machine harvested and steam distilled in January 2016 /greater than 10 months cellar. time. Uses: Aromatherapy, Perfumery, Skin Care, Home Care: Lavender Oil is revitalising of the skins own regenerative processes, is anti-bacterial and may assist with skin hygiene including acne, wound care, burn care, bruising, soothing of skin irritation and insect bites; it may also aromatically assist in bringing, calm and balance. Vintage Information: High rainfall year and good but cool growing season. Gale force hot winds followed by a late frost at the cusp of November /December saw the loss of 2/3 of the flower and much reduced production. Seasonal condition of unaffected flower good in size, form and fragrance. Machine harvested and steam distilled in January 2016 / greater than 10 months cellar time. Key Lavender Compounds (Typical GC/MS%): linalool 21.5 -26.5, linalyl acetate 36-47, lavandulol 0.10-0.80, lavandulyl acetate 2.6 -3.3, camphor 0.1 – 0.5, 1,8 cineole – 0.4 -0.7. 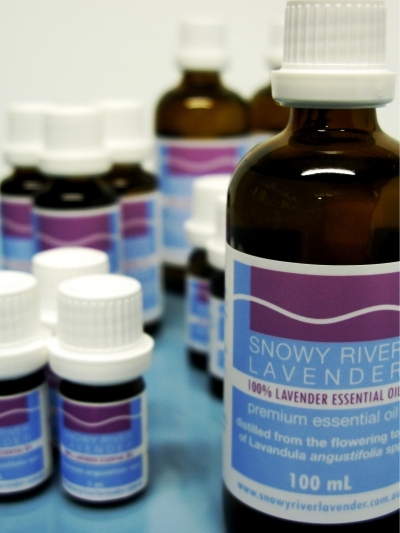 Properties: 100% Lavandula angustifolia steam distilled essential oil. Key Lavender Compounds (Typical GC/MS%): linalool 30.0 -42.0, linalyl acetate 33.0 – 42.0, lavandulol – trace, lavandulyl acetate 0.2 – 2.2, camphor 0.1 – 0.4, 1,8 cineole – trace. Properties: 100% Lavandula angustifolia seed population steam distilled essential oil. Aromatic Profile: Seasonally Variable – 2016 distillation is vibrantly complex and well balanced in the key lavender compounds. High in 3- octanone. Key Lavender Compounds (Typical GC/MS%): linalool 30.00 -35.00, linalyl acetate 28-35.00, lavandulol 0.10-0.60, lavandulyl acetate 0.22 – 2.4, camphor 0.2 – 0.5, 1,8 cineole – 0.1 -0.5. Aromatic Profile: Finely balanced with a refined elegance and complexity. Properties: 100% Lavandula angustifolia steam distilled essential oil. Machine harvested and steam distilled in February 2015. 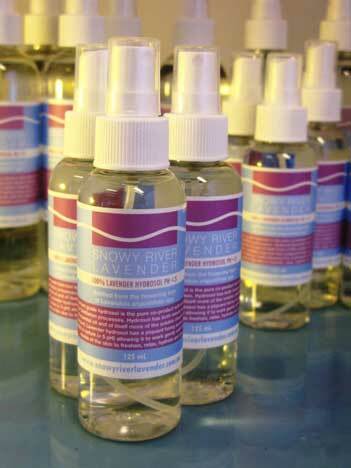 Aromatic Profile: Beautifully balanced and classically structured lavender oil. Key Lavender Compounds (Typical GC/MS%): linalool 35.0, linalyl acetate 32.0, lavandulol 0.4, lavandulyl acetate 1.9, camphor 0.3, 1,8 cineole – 0.25. Vintage Information: High rainfall year and excellent growing season, abundant high quality flower. Vintage Information: High rainfall year and good but cool growing season. Gale force hot winds followed by a late frost at the cusp of November /December saw the loss of 2/3 of the flower and much reduced production. Seasonal condition of unaffected flower is good in size, form and fragrance. Machine harvested and steam distilled in February 2016 / greater than 10 months cellar time. Aromatic Profile: Bold and vibrant lavender aroma with a piquant and refreshing back note. Grosso oil suffers from its own success as its high yield and balanced chemistry has made it the premiere industrially produced lavender oil worldwide. Though hard to find, when artisan distilled this oil is astonishingly beautiful, full and complex. Vintage Information: High rainfall year and good but cool growing season. Gale force hot winds followed by a late frost at the cusp of November /December saw the loss of 2/3 of the flower and much reduced production. Seasonal condition of unaffected flower is good in size, form and fragrance. Aromatic Profile: green stimulating aroma with a sweetly elegant floral back note and herbaceous undertow. Aromatic Profile: Pure sweet lavender top notes set against the fresh invigorating green aromas of the Australian bush and citrus leaf. Earthy honey and pepper back notes. Aromatic Profile: Fresh green effervescent top notes with a refined citrus leaf sharp sweetness in the back notes. Vintage Information: Vintage Information: High rainfall year and excellent growing season, abundant high quality flower. Uses: Aromatherapy, Perfumery, Skin Care, Home Care: Lavender Hydrosol is astringent: skin refining; balancing of the skins pH and protective of the skins acid mantle; is anti-bacterial and may assist with skin health and hygiene including acne, wound care, burn care, bruising, may soothe skin irritation and insect bites; it may also aromatically assist in bringing calm refreshment. Aromatic Profile: piquant honey aroma typical of most angustifolia cultivars but with more sweet intensity. Aromatic Profile: highlights a minty note alongside its light floral aroma. There is only a hint of the piquant honey notes typical of most angustifolia cultivars. Aromatic Profile: herbaceous peppery front notes and a green freshness which pushes the piquant honey notes typical of most angustifolia cultivars into a secondary role as a sweet undertow and finishing note. Aromatic Profile: adds a light floral front note to the piquant honey aroma typical of most angustifolia cultivar. Aromatic Profile: a peppery herbaceous aroma with a dry spicy honey finish on the skin. 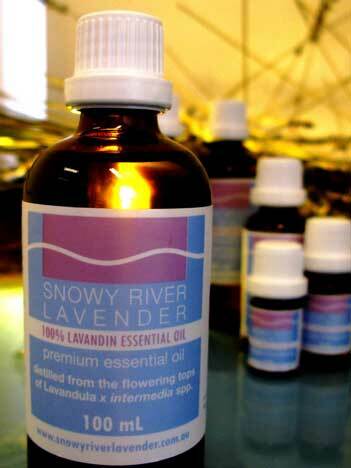 Uses: Aromatherapy, Perfumery, Skin Care, Home Care: Lavndin Hydrosol is astringent: skin refining; balancing of the skins pH and protective of the skins acid mantle; is anti-bacterial and may assist with skin health and hygiene including acne, wound care, burn care, bruising, may soothe skin irritation and insect bites; it may also aromatically assist in bringing stimulation and refreshment. Aromatic Profile: a sweet peppery herbaceous aroma with hints of eucalyptus honey typical of most L. x intermedia hydrosols. .
Aromatic Profile: a peppery herbaceous aroma with hints of eucalyptus honey typical of most L. x intermedia hydrosols. Aromatic Profile: a sweet herbaceous honey aroma with hints of eucalyptus thanks to the cineole content typical of most L. x intermedia hydrosols.